Why not a Thompson for fun! He looks pretty cowboy enough to me! They are a hoot to shoot. Re: Why not a Thompson for fun! This issue has been discussed with the SASS Board of Directors. They will not be allowed at a sanctioned (State and above) shoot. Wild Bunch is a takeoff on a movie. Maybe in the distant future there will be a game called " Untouchables" based on the TV series. There was a small spinoff called ZOOT Shooting that was started by Bat Masterson in CO. They use a Thompson SMG in their shoots. I don't know if it is still active. It is. They still shoot monthly, Sand Creek Raiders. Check out their website. My closet is full; it can't stand another costumed shooting sport. We had a shooter use a Thompson SMG as their match rifle last month. It worked out well. 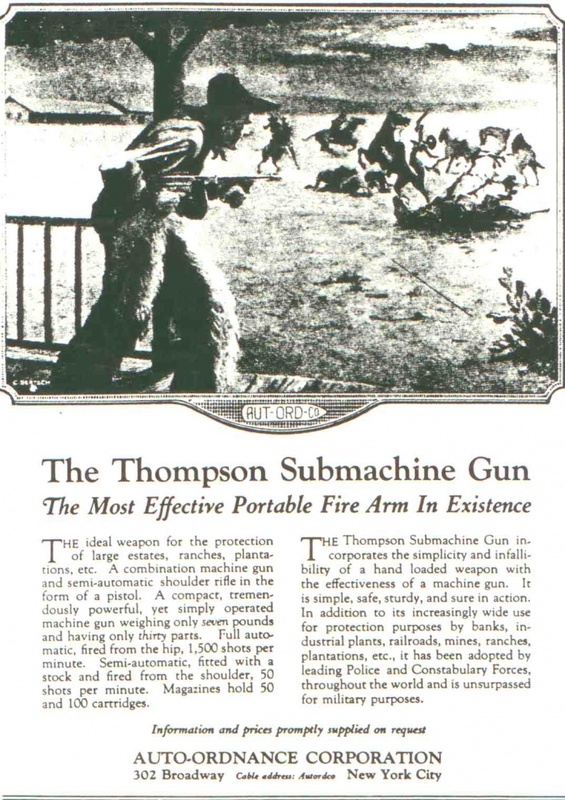 The manual of arms is very similar to the 1911, with the bolt locking open after the last round in the magazine is fired. So, all loading and changing of magazines could be easily monitored for safety. The condition of the arm as it came to the line was monitored in the same way we do the model 12. But, dang that thing is heavy!